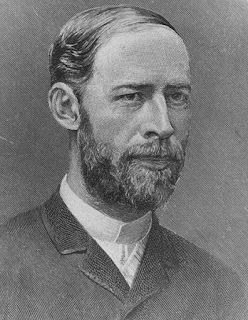 Heinrich Rudolf Hertz was born in Hamburg, Germany from partner Gustav Ferdinand Hertz and Anna Elisabeth Pfefferkorn. He is an inventor physicist Hertz frequency. His father is a lawyer in Hamburg. While his mother was the daughter of an army doctor. When continued his education at the University of Hamburg, he showed his intelligence in science as well as in language skills when learning Arabic and Sanskrit. He studied in Dresden, Munich and Berlin by two teachers, Gustav R. Kirchhoff and Hermann von Helmholtz. He received a PhD in 1880 and became a disciple of Helmholtz samapai 1883. In 1885 he became a professor at the University of Karlsruhe when researching an electromagnetic wave. Hertz became very interested in the metorologi because of his encounter with Wilhelm von Bezold who is professor of Hertz when attending the practice at the polytechnic Munich. Still, Hertz did not contribute much to the field except at the beginning masamasa when he became an assistant at the Helmholtz in Berlin. Including research on the evaporation of the liquid, the newest type of hygrometer, and an explanation of the graph of the air by adiabatic condition. In 1881-1882, Hertz published two articles which is also known as the field of expert contacts. Hertz is well known for his contributions in the field of dynamic electricity. Many papers that refers to both the article as a source for some ideas. However, Boussinesq magazine issued some criticism on the job Hertz. Around the 19th century, Maxwell expressed his equations is quite shocking the world of Physics. One of them declared an electromagnetic wave. However, when it has not been proven. Karna, the Heinrich Hertz tried to prove the existence of electromagnetic waves that. In theory, Hertz realized that declared Maxwell electromagnetic waves is a combination of electric waves and magnetic waves are mutually perpendicular. Similarly, the direction of motion. Since the wave mengantung shockwaves, then Hertz is trying to prove the existence of electromagnetic waves through the presence of electrical waves radiated by the transmitter circuit. Hertz tried to make with the help of a simple transmitter circuit to amplify the voltage transformer and capacitor as container cargo. Since there is a current shift in the gap transmitter, it is expected there will be radiation emitted electromagnetic waves. Because in theory, from the spark that appears to be generated electromagnetic waves. As a result, the circuit loop receiver that only a circular wire without given any voltage source, an electric spark had appeared on his gap. This proves there is electricity flowing through a radiation benda.yang finally terhantarkan to loop. Because you do not feel satisfied, Hertz tried to calculate the frequency of the loop. It turns out that the resulting frequency equal to the frequency of the transmitter. This means that electricity comes from the transmitter loop itself. With this evident the Maxwell electromagnetic wave radiation. Hertz's experiments also triggered the discovery of wireless and radio telegraph by Marconi. The circuit is present in quartz glass to prevent UV rays. In 1886, Hertz was able to prove the concept of the very paradox that time, the Maxwell equations on electromagnetic waves. Even so, Einstein would later use this result to argue against some of the concepts in classical physics the electromagnetic waves. After that hertz continue his research. Until finally in 1887 Hertz experiment results of the proof of the continuation of the electromagnetic wave. Until he finally got a pretty interesting fact accidental. Namely that an electrical charge will be reduced if there sunar ultraviolet falling between the two electrodes. That is the reason why Hertz using a quartz tube to prove Maxwell. At that time, Hertz did not pay attention to exactly what happened there. So there is no comprehensive research and a clear effect. Hertz is the person who contributed the above findings concerning electromagnetic waves and the photoelectric effect. Although not intentionally, all kinds of proof has changed our world becomes more practical. Although ultimately only a few know that the photoelectric effect was first discovered by Hertz. to appreciate the services of Heinrich Rudolf Hertz for his contributions in the field of electromagnetism names later immortalized as the unit of wave frequency (Hertz). Hertz (symbol: Hz) is the SI unit for frequency. Hertz specifies the number of waves in one second (1 Hertz = 1 wave per second). This unit can be used to measure any periodic waveform. Example: The frequency of motion of a pendulum wall clock is 1 Hz.